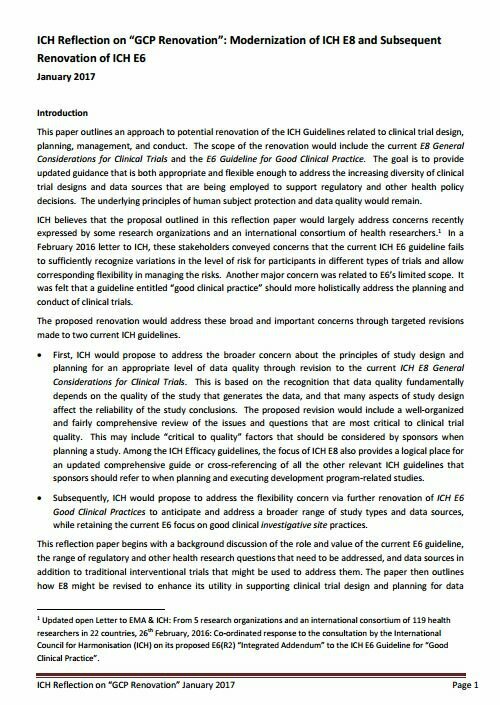 MoreTrials response to the reflection paper – which you can download below – welcomed the proposals from ICH for a more extensive revision of ICH-GCP, but recommended that the starting point for this should be setting out those few key principles that really matter when doing a randomised trial. 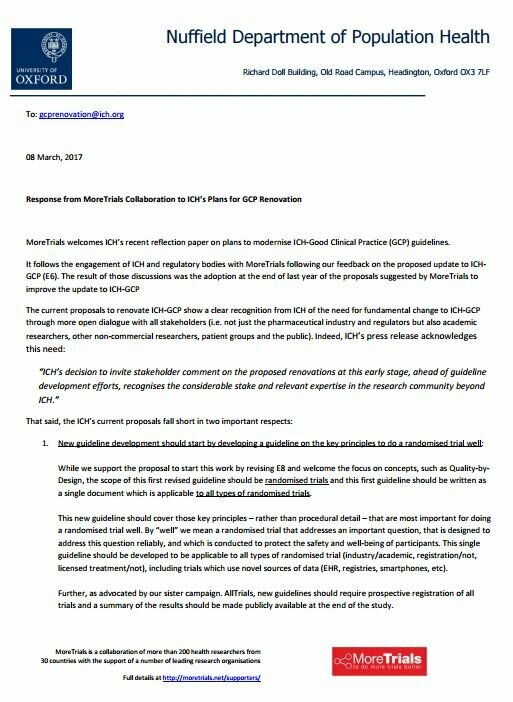 Our letter also pointed out that the proposals did not go far enough to address concerns about openness and transparency and the need to involve all stakeholders in the development of a new GCP. ICH have not responded to our letter.